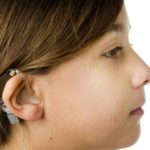 The practice of Otorhinolaryngology involves diagnosis, medical treatment and surgical intervention for a variety of problems, conditions or diseases affecting the ear, nose and throat as well as related areas of the neck, head and face. The word “Otorhinolargyngology” is made up of several Latin root words: ology means the study of the ear (oto), the nose (rhino), and the throat (laryn, as in the word larynx). This long word is frequently shortened to Otolaryngology. An Ear, Nose and Throat specialist is usually called an Otolaryngologist, but is also referred to as an “ENT Specialist,” with the letters E, N, T standing for Ear, Nose and Throat. ENT specialists typically attend college for four years, medical school for another four and then receive five years of specialty training. All ENT physicians are required to pass the American Board of Otolaryngology exam. Some ENT physicians also complete a one- or two-year fellowship. Dr. Michael Marsh completed a fellowship in otology/neurotology. Treating disorders of the ear includes but is not limited to: hearing loss, tinnitus (ringing), ear infections, balance disorders and ear pain. Treatment of the nose includes the sinuses, allergies, nasal polyps, excessive or frequent nosebleeds, snoring and sleep apnea as well as the ability to breathe through and smell with the nose. Management of the throat includes voice and swallowing difficulties as well as treatment for sore throats, enlarged tonsils or adenoids and problems with the upper digestive tract or esophagus. Treatment for the head and neck involves management of cranial nerves, cancerous and non-cancerous tumors, facial trauma or facial paralysis and deformities of the head, neck and face.